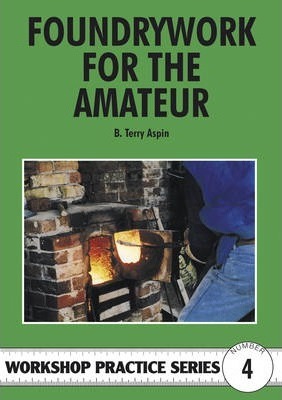 This book is regarded as the perfect introduction to casting common hot metals in moulds, providing all the information needed by amateur foundrymen. Since 1954, when Foundrywork for the Amateur was first published, the advance of technology and engineering has been enormous and there have been many revisions along the way. However, conditions in the 21st century are so far removed from the state of affairs in the 1950s that, although the basic principle of the foundry remains the same, the language and the presentation of the book was due to be uplifted. This present edition therefore represents a complete rewrite to conform to the era and, in particular, to the availability of material which at one time was taken for granted. Not only has the text been updated, but the illustrations have been completely redrawn and, on the basis of the advances made in the amateur foundry since the early days, the photographs have also been renewed and increased in number. This new edition also reflects the author's growing interest in the model steam locomotive. Edition Statement 2nd UK ed. Crucibles. The Furnace. Foundry Sand. Moulding Boxes. Pattern Making. Cores and Core Making. Making a Greensand Mould. Melting Procedure. A 'Drop Bottom' Cupola. Suppliers.